the presence of creative alternatives for responding to conflict. Family traditions are handed down from one generation to the next, for better or worse. Unfortunately that includes violent tendencies. Children raised by abusive parents are more likely to become violent adults themselves. This includes tendencies toward physical, emotional and social violence. I remember working with men who sexually abused their children. Some of them thought sexual contact with their children was normal since they had been on the receiving end of it throughout their childhood and adolescence. Some men know that violence is wrong but turn to it as a response to their frustrations and disappointments. They may not have been taught more constructive responses. If the family is a breeding ground for violence, what can be done about it? It is up to parents to provide fertile ground for planting and nurturing alternatives. If parents were raised in abusive families, their first step is to recognize the pattern, especially if they have adopted the violent ways of their own parents. If their children have become violent, punishment will not correct the problem. It just gives them a strong motivation to find ways to avoid punishment. Once parents recognize and accept that they are abusive, the next step is to understand their violence. This is a difficult challenge for parents to master alone. Counseling may well be useful in helping them understand the mental and emotional process of becoming angry and reacting with violence. Once they understand this process, they can move on to discover more constructive outlets for unwanted and unpleasant thoughts and feelings. It would be best to address all of this before having children. Being a parent comes with its own challenges, fears, frustrations and disappointments. It should be no surprise that these difficulties will also face your children least from time to time. Parents who have learned to manage their own conflicts will be in a better position to help their children manage their challenges in a healthy and constructive way. If every family did this, violence in the world would be much less of a problem. How did you see your parents handle their challenges when you were a child? What did you learn from them about how to manage your challenges? Have you learned constructive ways to handle challenges? If you have learned to live in peace, share what you learned with your children. Don’t expect your children to be perfect but help them develop good life habits. For more on violence, see my book on Amazon, From Violence to Peace. How do I start to understand violence? To cure the violence, we must identify and heal the causes of hatred and violence. If we don’t deal with the causes we will never be safe. The term random violence suggests that there is no explanation for such acts which have become all too commonplace recently. Acceptance that there is no explanation implies that that there is nothing we can do about it. The approach of placing more guns in the hands of civilians has been promoted as one possible solution although it sounds scary to me. ​​​​​​​Commentators and others have scratched their heads trying to clarify the reasons for this violence. Among the possibilities are parenting styles, the effects of mental illness, the proliferation of guns, violent video games, media sensationalism and violent lyrics in music. We would like to find a reason for the violence which does not include our own culture and attack the problem as lying outside us. What if the reasons lie within the culture of which we are a part? Then the search becomes uncomfortable. We would need to examine our own thoughts and emotions as people living in this culture. In his article, The Autogenic Massacre, P. E. Mullen reminds us that guns and violent revolution formed one basis for founding the United States. He also revises a well known slogan to read “Guns don’t kill people, but people kill people with guns.” He notes that many popular movies glorify gun violence. Most people do not use guns to actually protect themselves. Most seldom have the intention of murdering others. Yet some people do have such motivations and some become mass murderers. Mental illness is often seen as an explanation or in common words, “He must be crazy!” For the most part it is a “he.” Violent attacks are much more likely to be carried out by men than by women. The result of this kind of thinking is to identify and isolate these mentally ill individuals from mainstream society. Yet the mentally ill are far more commonly the victims of violence than they are perpetrators of violence. Attempts to clarify which traits predict violence have been largely unsuccessful and tend to include people with moderate or little risk of becoming violent. The great majority of mass killers are white males, but no other characteristics are helpful in defining who is likely to become violent. They are not clearly psychotic, delusional, crazy or insane. Christopher Ferguson, a psychologist at Stetson University, has listed the features most relevant to mass shooters. They include antisocial traits, depressed mood, recent loss and perception that others are to blame for their problems. He sees these risk factors as common to violent adults as well as children. Yet these are not mental illnesses in themselves. They imply unwanted emotions and difficulty coping with challenges and life events which we all face from time to time. Mullen suggests that mass murderers may not differ from the rest of us in how they think or feel. They may just differ in the degree to which they experience feelings such as rage and motivations like revenge. Another factor might be an exaggerated sense of entitlement which fuels rage in certain people when their expectations are not met by society. Other people disposed toward violence often feel marginalized by society, also leading them to anger, rage and feelings of wanting revenge. Trying to isolate such individuals and punishing them for their emotions only increases their sense of isolation and pent-up rage. As we saw when we discussed the criminal justice system, another approach would be to try reaching such individuals before they become hardened into seeing violence as their only alternative. Such an approach would not be easy, and it also goes against the vigilante or cowboy thinking of many people these days. Yet it promises a much more productive way of going about making lasting changes. Excerpt from my book, From Violence to Peace- Follow link and choose Look inside for a free sample. Posted on October 4, 2017 Categories future, peace, understanding violenceTags future, peace, understanding violenceLeave a comment on How do I start to understand violence? The pace of life has become faster and more frantic in recent years. Many people leave little time for thoughtful reflection or just sitting still. If you are older, you might remember when life was simpler and less hectic. If you are younger, you might have heard about more peaceful times from your relatives. How did we get from living in relative peace to being obsessed with anger and its expression in violence? Many people lately have become alarmed by “senseless” violence around the world. Have you wondered whether there is a connection between the spate of suicide bombings in Europe and the mass shootings around the world, including those in this country? I have long considered a possible connection between these events and their relationship to fear and violence. Let’s take a closer look. If you have ever studied psychology or even read about it casually, you are most likely familiar with the fight or flight response to fear. Depending on your circumstances, when faced with something fearful to you, you react by attacking the source of your fear (fight) if you think you can overcome it or avoiding it (flight) if it seems more powerful than you are. Fear and these responses to it follow a direct and immediate threat of attack such as by a wild animal or person. You don’t have time to think about it but automatically react almost immediately. Anxiety is related to fear. The feared object might not be immediately present, but you might worry about what might happen or not happen in the future. You become anxious about your own welfare or that of your family. You might also fret about the possible behavior of other people or the course taken by the society in which you live. If you are unable to find a way to relieve this anxiety, it builds and eventually leads to a sense of desperation or hopelessness. This can take place inside you and possibly remain invisible to others. You might find someone whom you trust with your concerns and share them or act on your anxiety by lashing out. Based on my experience and reading, it seems clear that everyone has a breaking point when they feel forced to act in ways not typical of them. Perhaps some people turn to violence as a way to be taken seriously for once. Some commit suicide when they feel their life challenges are more than they can bear. The result can also be a lashing out toward other individuals or society in general if you see others as responsible for your predicament. If you could understand the workings of others’ minds, much of the violence in the world might not seem quite so senseless. Violence often makes sense to people feeling overwhelmed by life burdens. Most people tend to react emotionally to such situations without giving their response much thought. If you could step back from your emotions, you might see more constructive possibilities and be able to choose one of them. Once you are overwhelmed, it might be too late to step back. You could make a practice of learning to take a break from your daily routine even when you are not under pressure. Then you will have a better idea how to handle stressful life events when they arise. In the process of becoming immediately connected, we seem to have forgotten the purpose of communication. It is to help us understand each other and learn to work together to find harmonious ways for us to exist together. Instead, we use our channels of communication to persuade others to think as we do. We use them for entertainment, validating ourselves and for advertising. Although our technology to some extent helps us understand each other, we need to do much more to appreciate each other in our search for meaningful lives. People who tend toward violence may have goals not much different from our own. Yet they might have had their dreams crushed along the way. They no longer see any path toward a fulfilling life and look for a way to express their frustration. Violence is seen as aggressive behavior with the intent to cause physical or psychological harm. Hostile aggression also fits our definition of violence for the purposes of this book. It is performed in anger for the purpose of harming another person. By constant exposure to it, we have come to be more accustomed to violence in our society, regardless of the presence or absence of a relationship between perpetrator and victim. 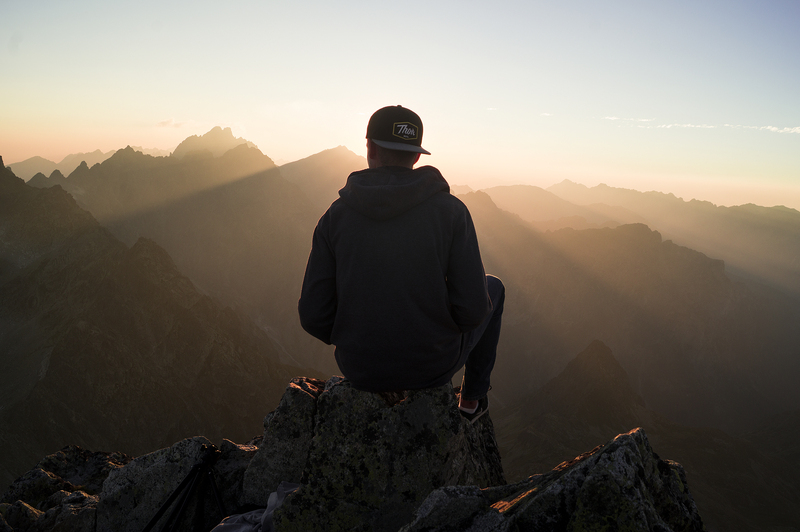 Mindfulness is a way you can come to understand yourself and your inner workings. It involves reflecting on your thoughts and emotions rather than acting on them impulsively. It is a form of meditation and involves making your body and mind still. You do this by being in a place of serenity free of distractions. You pay attention to your inner state as well as the sounds, sights and smells around you while making no judgments about anything in your awareness. This is a practice where you can exist in just this moment without any concern for the past or future. You can practice mindfulness in order to take your mind and your body down a more constructive path than it might have otherwise taken. Rather than letting your emotions direct your whole day, you could step back from them and put them in context. We will look at this in greater detail later. Do you usually react with immediate anger when something upsets your routine and then let it consume you for the rest of the day? Do you look for someone to blame for everything that happens to you, when you might be at least partially responsible? Do you let your mood take over your decisions and actions rather than trying to look at situations more rationally? Are you always on alert to find someone at fault? These are a few things to explore in a calmer mood once you find one, but it takes practice to set this mood. Many people tend to look closely at another person’s behavior, decide what they don’t like about it and then think about how that person should act to make them happy. Yet you are not in charge of what everybody else does or thinks. If you want to understand someone’s inner workings, the closest person at hand is yourself. You can start by looking without judgment at your own thoughts, feelings and actions and work toward understanding them. Again I am referring to mindfulness. With a better understanding of yourself, you will be in a better position to understand and make sense of others’ actions. Maybe you and they can even find ways to work together on handling emotions. How did we get so angry? Anger surrounds us these days. It shows up on the nightly news, on talk shows and the newspapers as well as on the Internet, not to mention in interactions on the street. Unplanned events in our daily lives invite us to summon and express our anger. It is as if we have become an angry culture. How can we make sense of anger, cope with it and find alternative ways of dealing with our own and others’ misfortunes besides giving vent to our anger in destructive ways? That question is the challenge I pose for you and invite you to explore with me in this book. As a psychologist, I worked with angry people for thirty­five years on anger management. They have been in my life longer than that. Our country seems angrier now than I can remember it being in the past. Not everyone barks at other people, attacks them or shoots them. Yet the national mood seems to be one of anger coming from a national divide on both sides of every issue. What kinds of anger problems are there? Who is the target of your anger? How do you manage anger directed toward you? How can you transform your anger? Have you wondered about any of these? Are you still looking for answers? Join me in an adventure to move away from anger and toward peace. This book is available through Amazon. 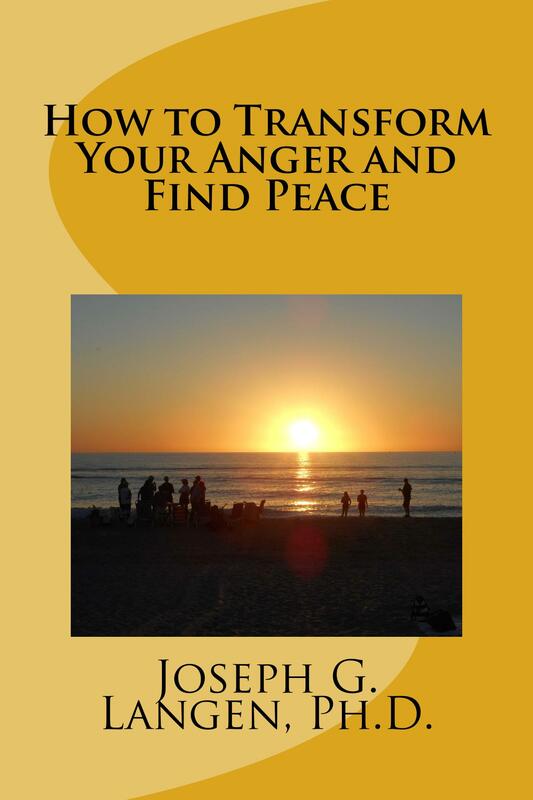 Take a look at the free sample (Look Inside) on the Amazon page for Transform Your Anger and Find Peace. Reading. Writing. Arithmetic. And peace? Not only is Zachari VanDyne pushing for peace to be taught in schools, he is hoping for it to become a core subject. Imagine this: Reading, Writing, Arithmetic and Peace. He’s either a fool or a visionary. 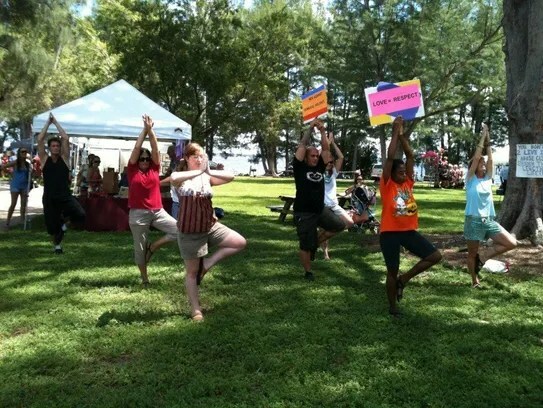 As the founder and director of CasaShanti, the Fort Myers Meditation Center, and the organizer of Peace Day in the Park for the last eight years, he believes peace, as a personal experience, is possible. Posted on September 14, 2015 Categories learning, peace, teachingTags learning, peace, teachingLeave a comment on Reading. Writing. Arithmetic. And peace?